Complications with the electrical system in your Phoenix home shouldn’t be taken lightly. In fact, the safest course of action is to hire an electrician for residential electrical services if you suspect any electrical failure, such as a burned outlet or overlamping. Burned Outlets – Wire insulation can melt, and you’ll be notified by the popping and sparking coming from the outlet if you try to plug in a device. You should stop using this outlet immediately because the sparking can burn the outlet, blacken the plugs, and cause an electrical fire. Tripped Circuit Breaker – Outlets stop working when a circuit breaker trips because of the overloading of a circuit or a knob stuck between “on” and “off” on the breaker. 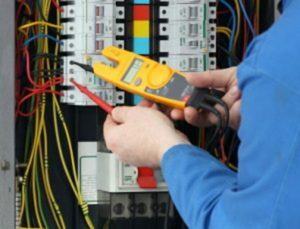 Backstabbed Wiring – Backstabbing occurs when wires are pushed into connectors that grasp the wires inside appliances and electrical devices. Dead circuits and burned wires can result from the loose connection that backstabbed wires create. Aluminum Wiring – Aluminum used to be an inexpensive alternative to copper wiring, but if your home has aluminum wiring, it should be replaced or retrofitted by an electrician because it’s prone to corrosion when exposed to copper or when connections become loose. Overlamping – When a light fixture has a bulb with a higher wattage than the fixture is designed to handle, overlamping occurs. Old wiring can cause overlamping, and if it does, the socket can heat up and cause the wires to melt. This problem results in damaged fixtures and can even lead to an electrical fire, so an electrician should be contacted if any of your light fixtures are experiencing overlamping. If your Phoenix home’s electrical system is experiencing a problem, don’t wait until a hazard develops to call an electrician. 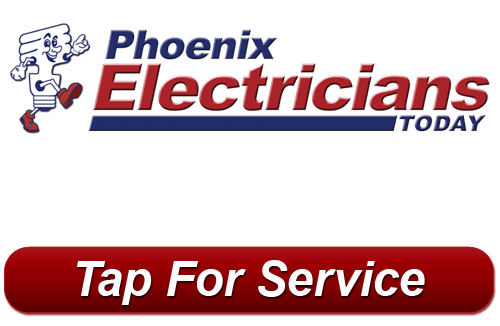 Contact our experienced team at Phoenix Electricians Today for residential electrical services because our electricians are always ready to solve your electrical problems.